Yes. We collect relevant domestic and international travel information to ensure your ATM, VISA Debit or VISA Credit Card transactions are processed without issue, as we monitor for unusual or out of pattern activity. 1. Log into RCU online banking. 2. 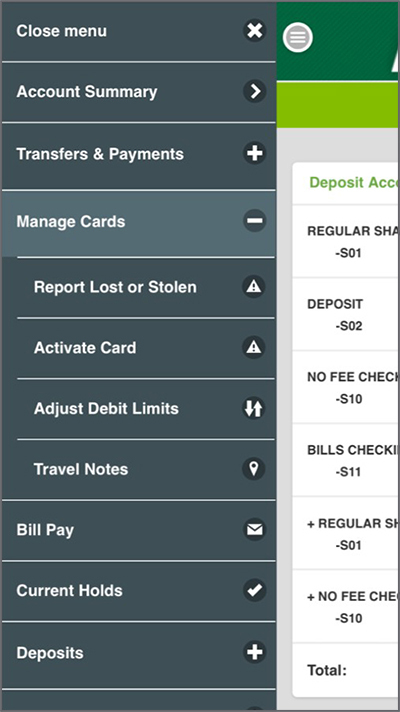 Travel Notes are listed in two locations in the navigation under Manage Cards or Member Services. 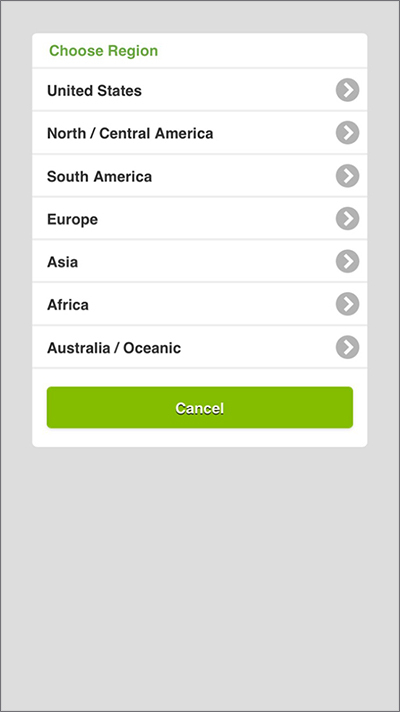 Choose Travel Notes in the drop down menu. 3. Follow the on screen instructions - enter your travel dates, locations and contact information as appropriate. Save and you're done ! You can also view current travel notes. 1. 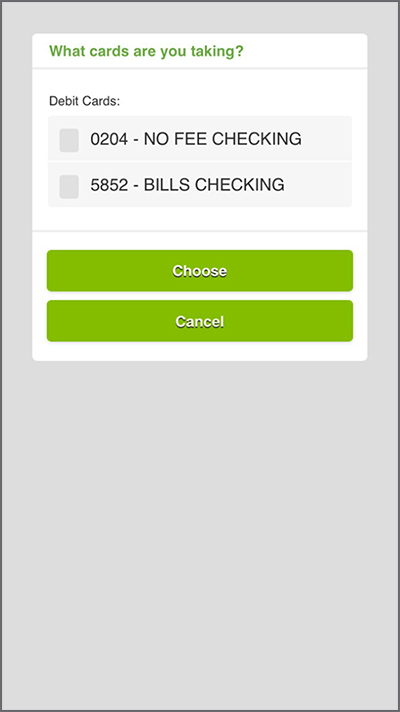 Log into the Redwood Credit Union mobile app. 2. 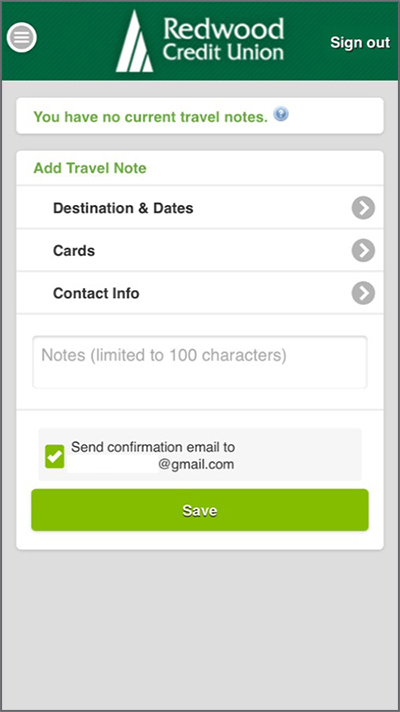 In the navigation go to Manage Cards and select Travel Notes. 3. 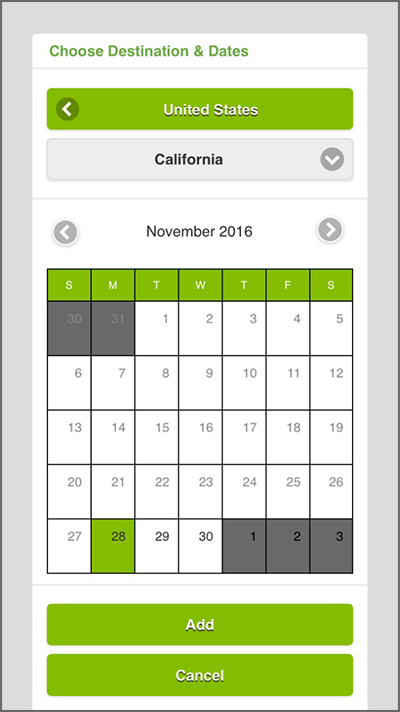 Add Travel Notes information such as destination, date, cards and contact information. 4. Save and you're done! Can I use my debit card at an overseas ATM? If so, what is the fee? 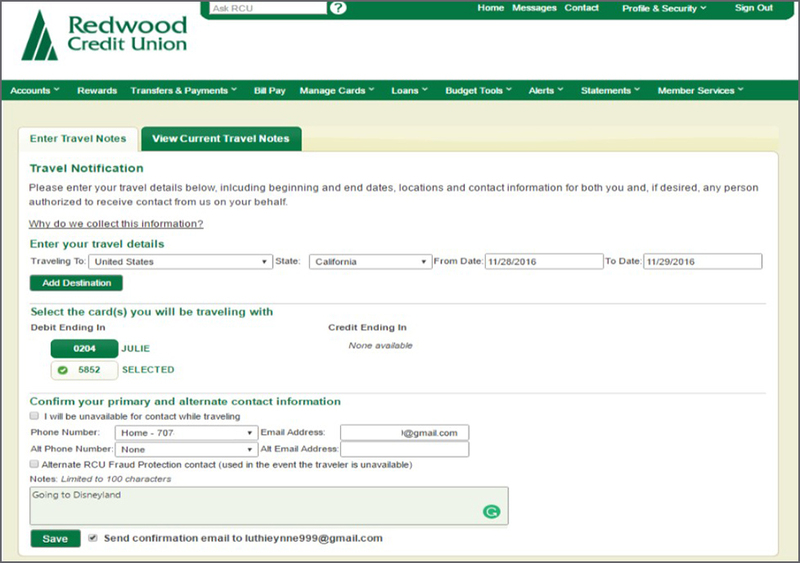 Can I make an online purchase from an overseas retailer using my Redwood Credit Union debit or credit card? 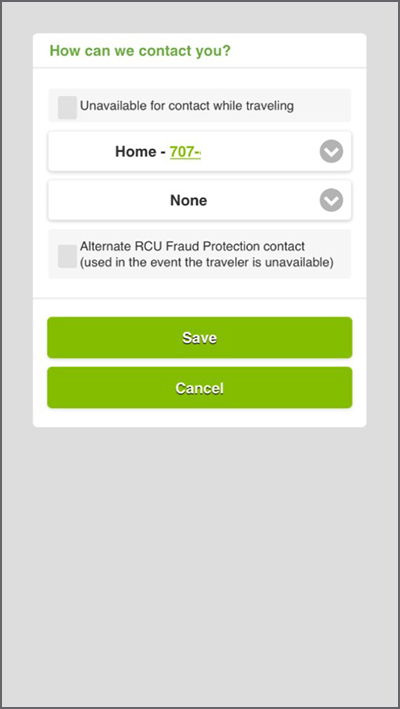 Does RCU offer Travelers Cheques?